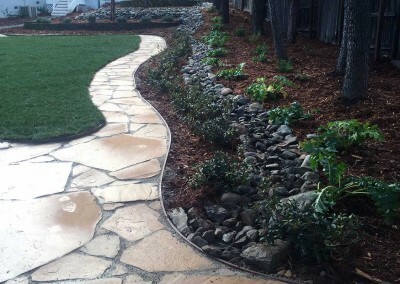 The customer on this project had a gorgeous 1/3 acre yard. 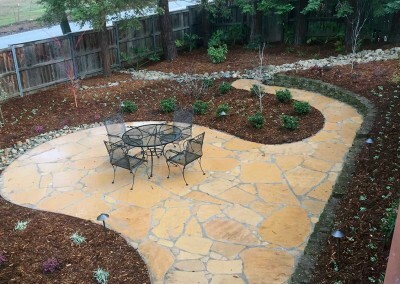 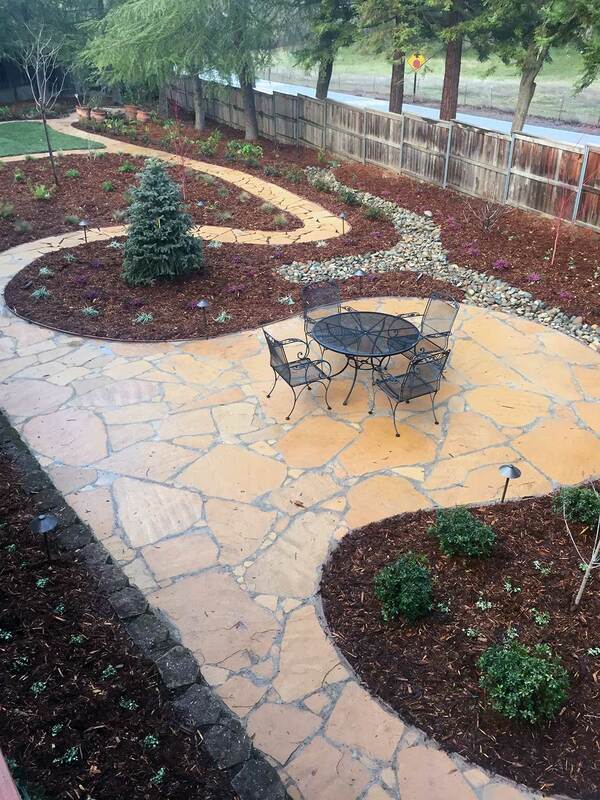 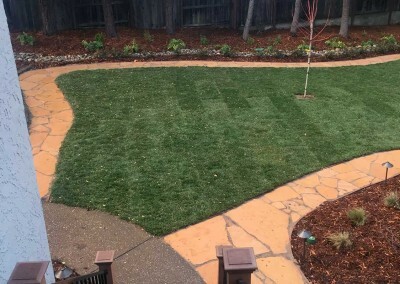 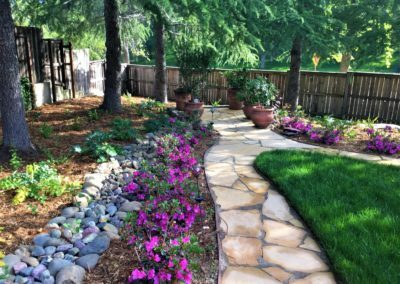 They wanted a flagstone pathway sprawling through the yard and a low maintenance, drought-proof yard aside from the grass area. 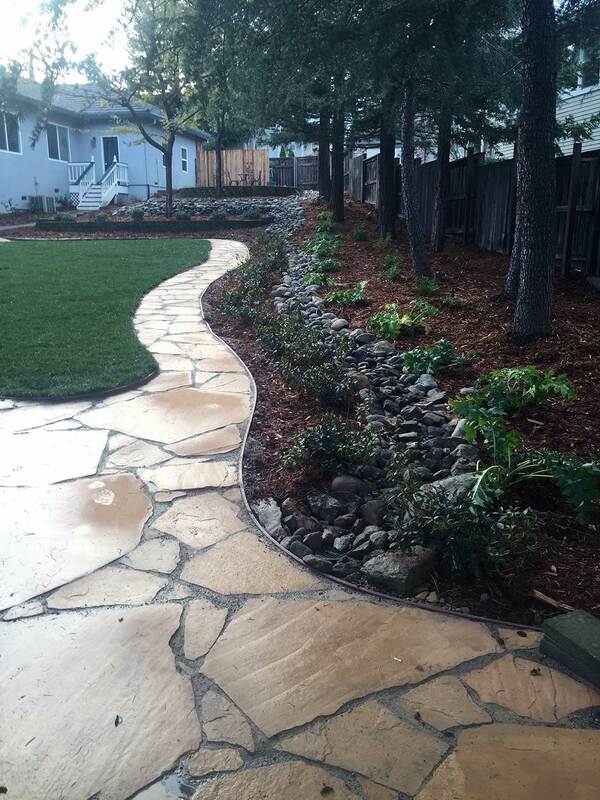 In addition, they wanted a new driveway and walkway to the backyard to match the existed exposed aggregate walkways. 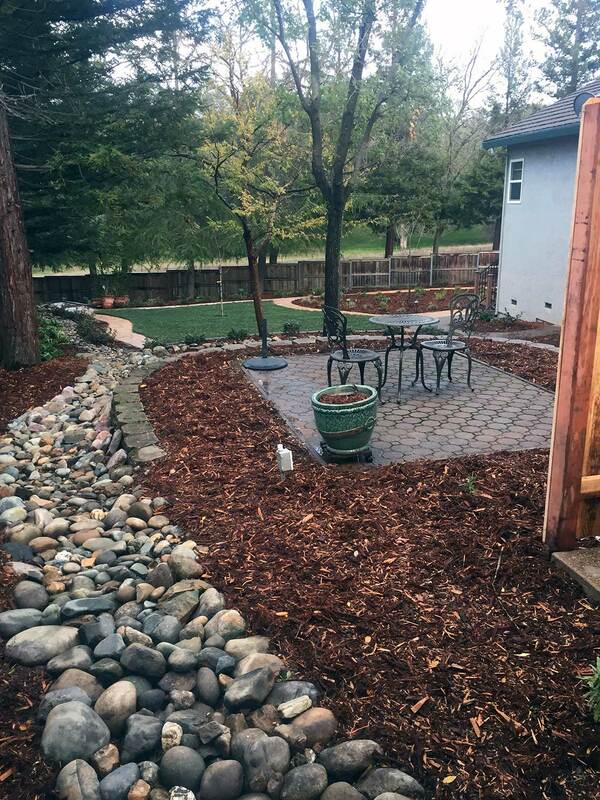 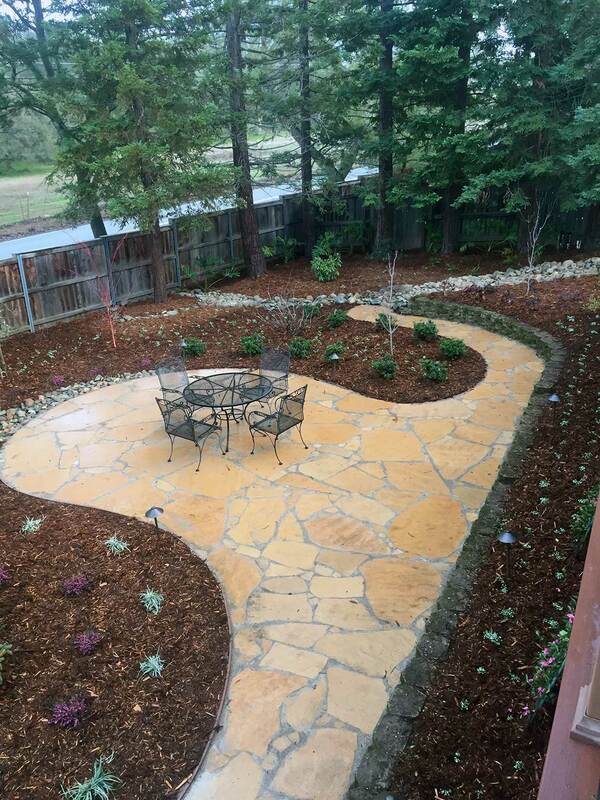 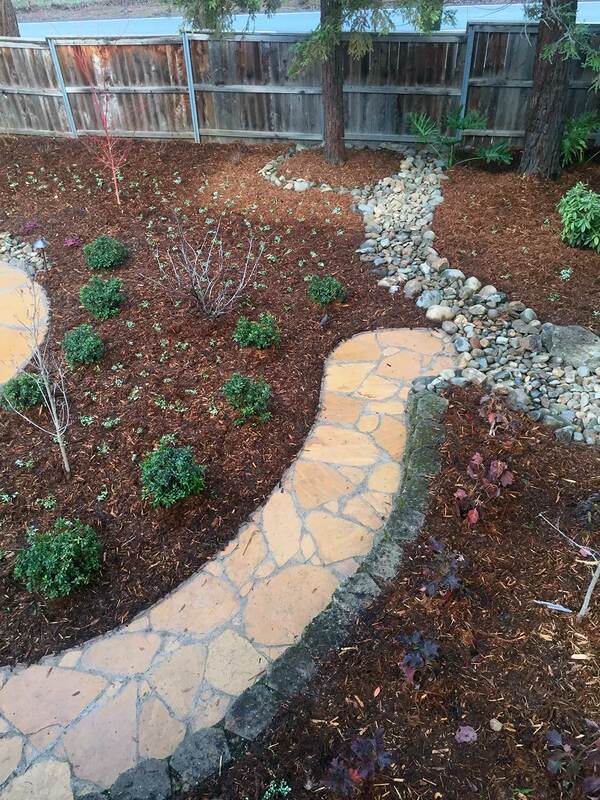 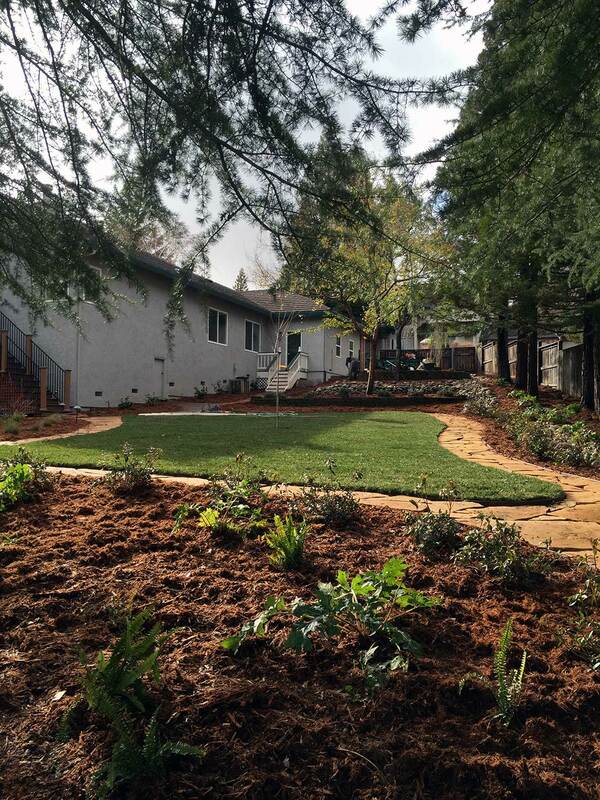 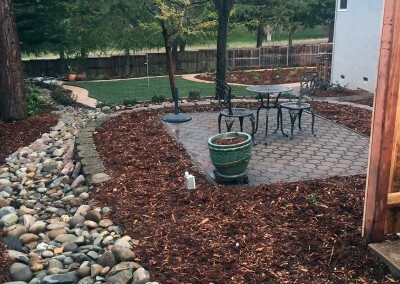 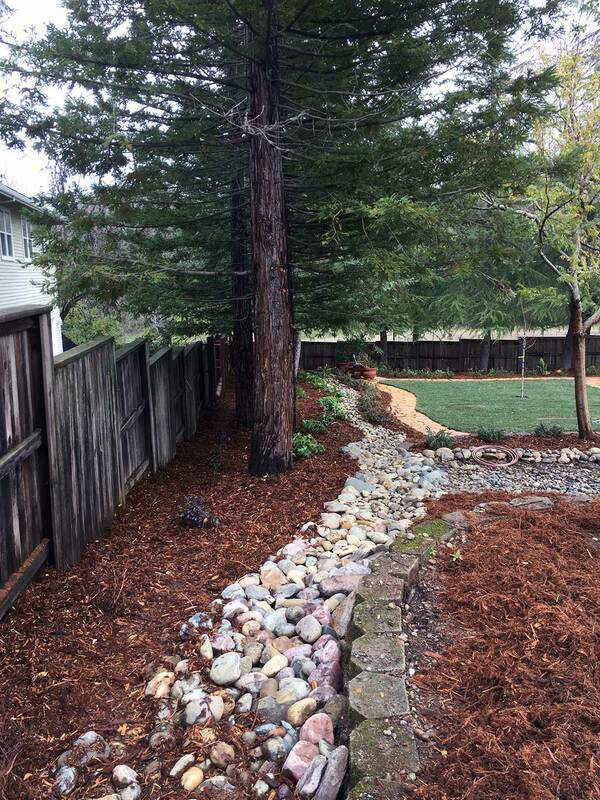 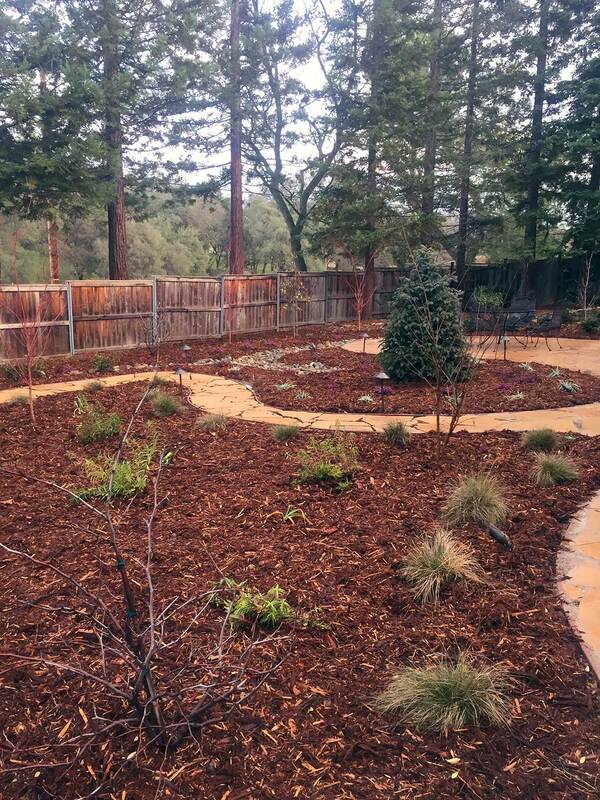 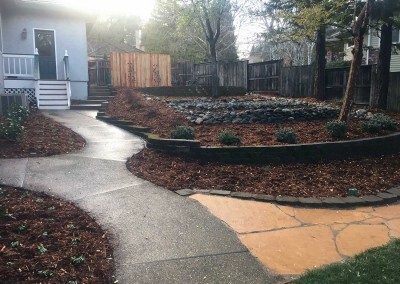 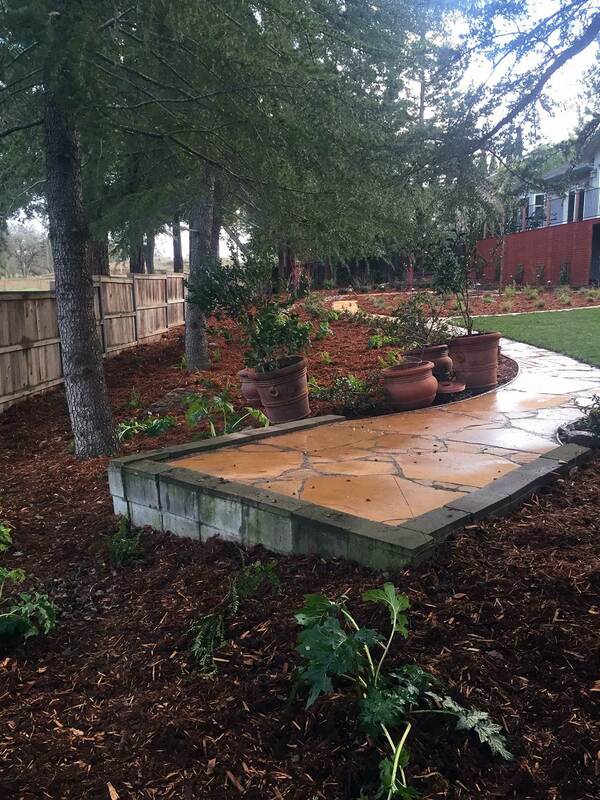 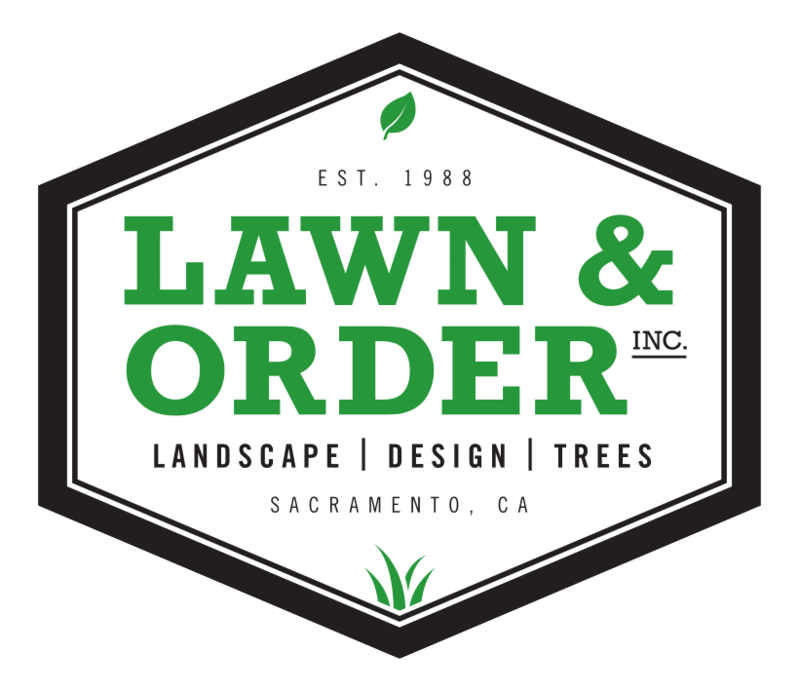 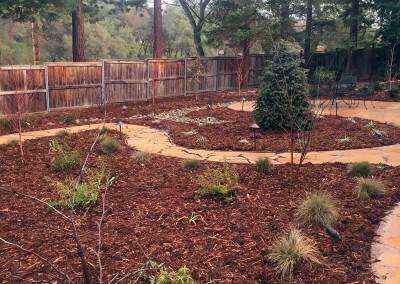 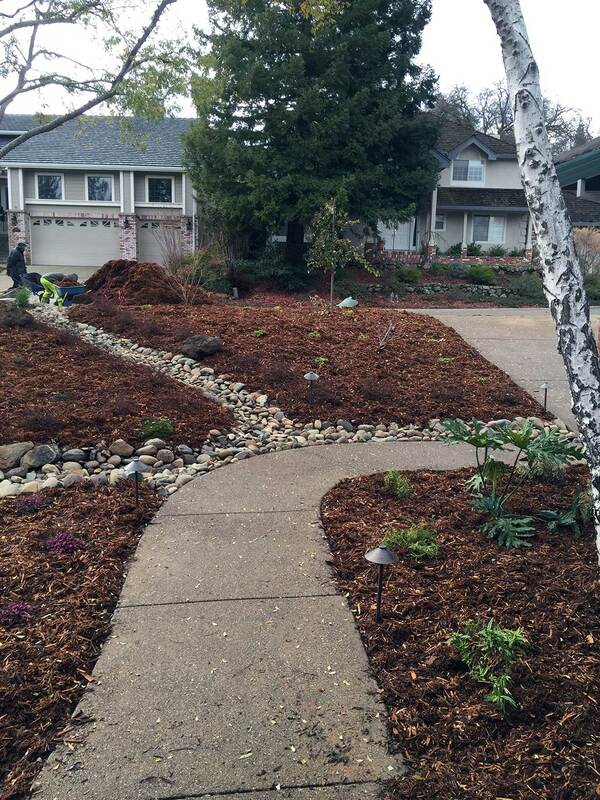 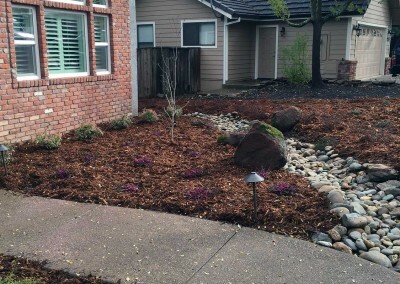 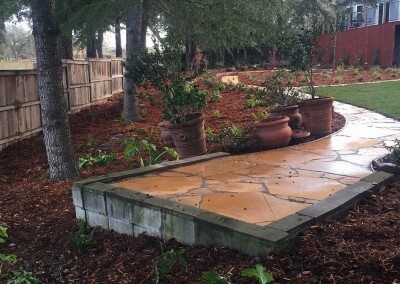 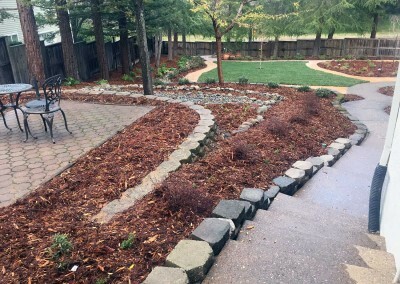 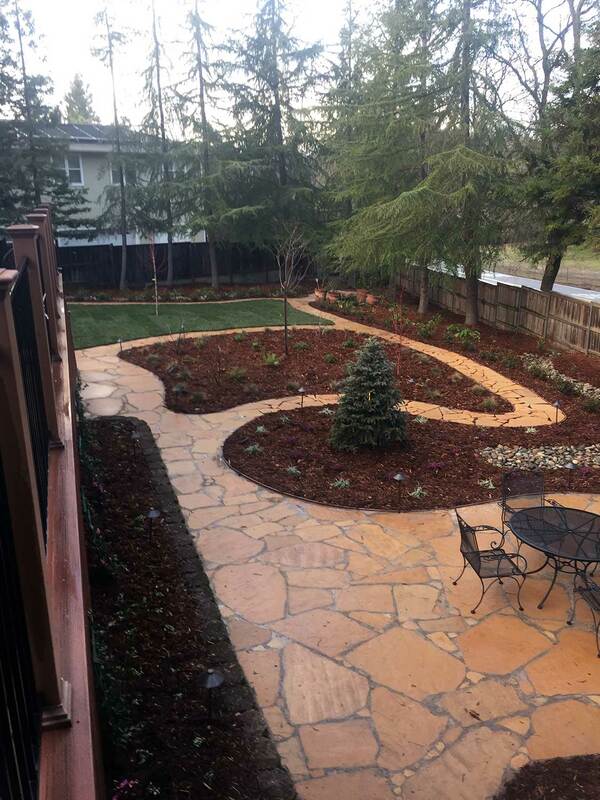 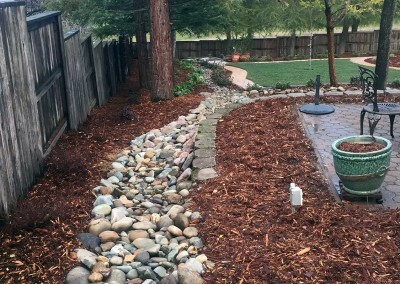 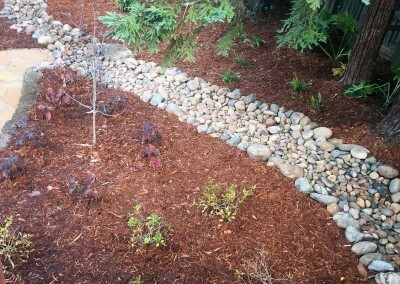 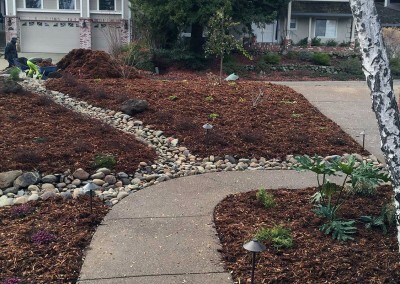 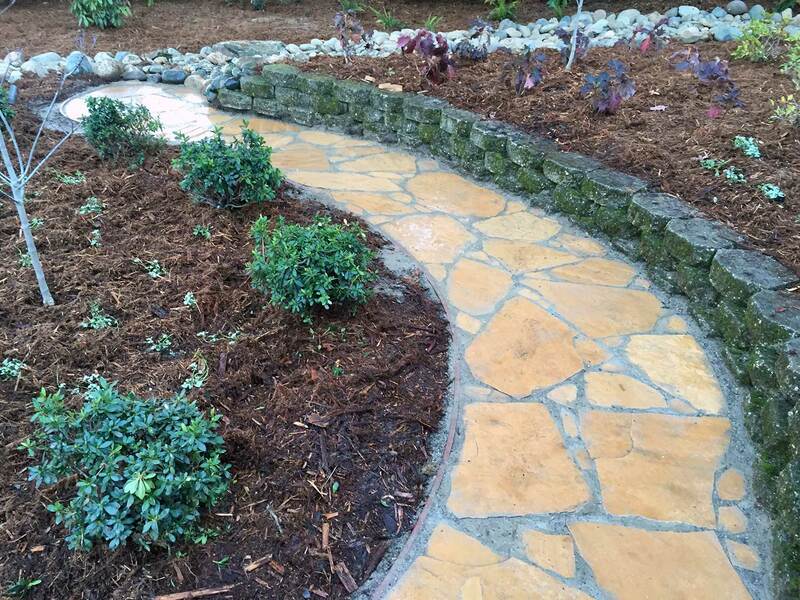 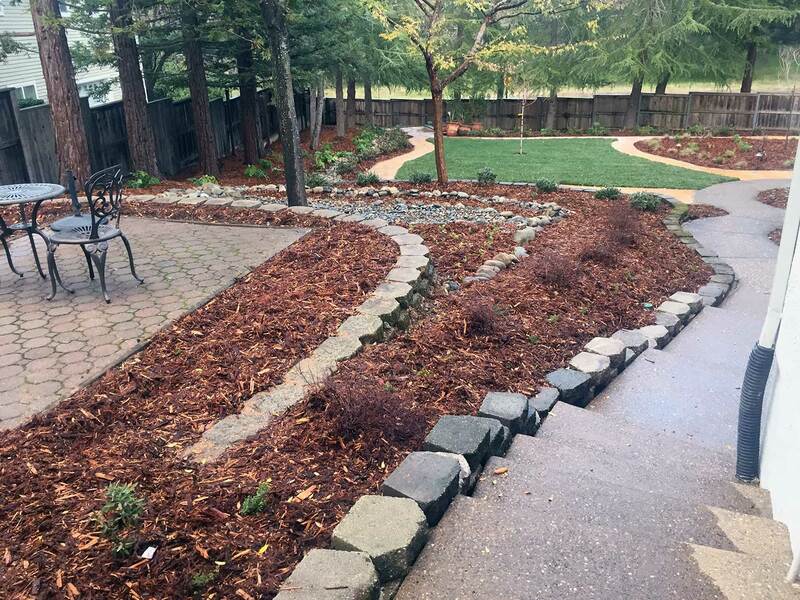 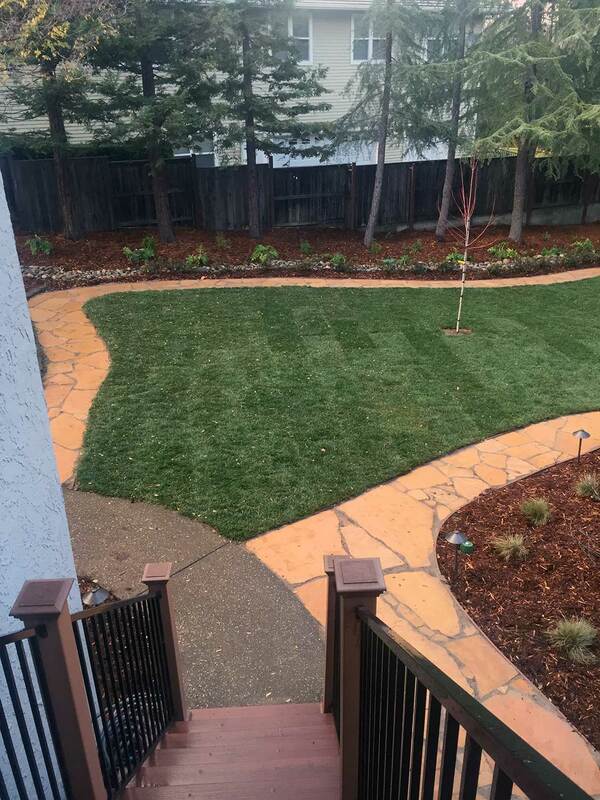 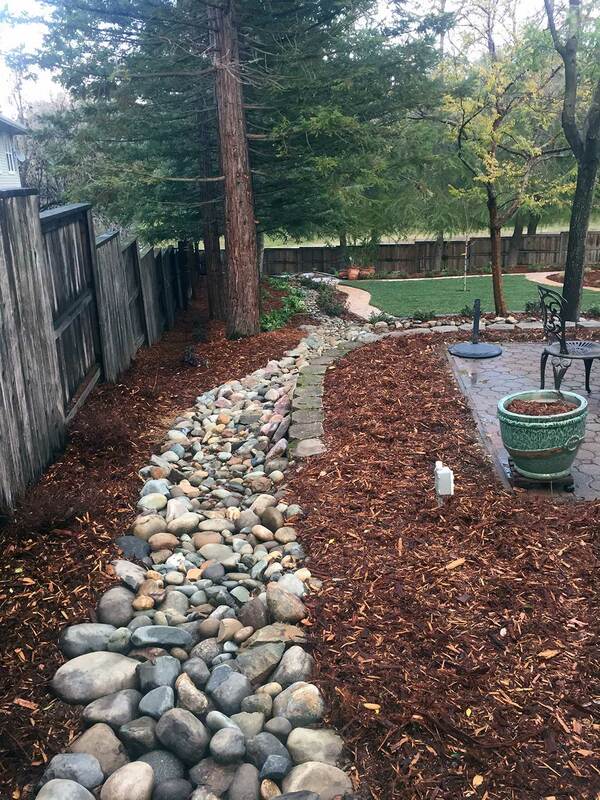 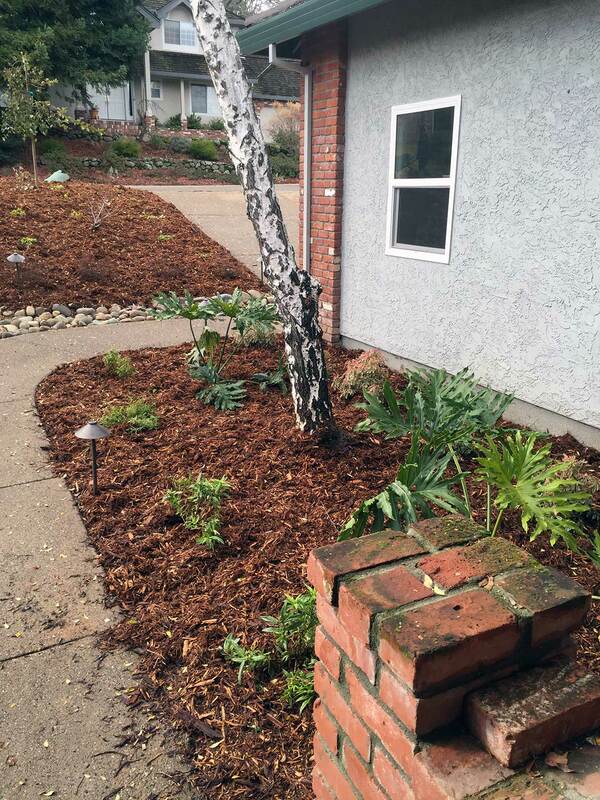 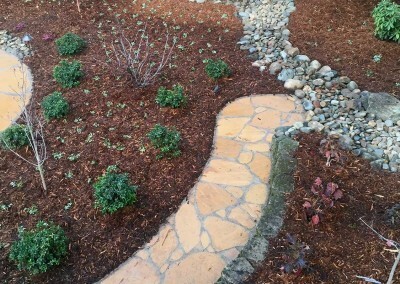 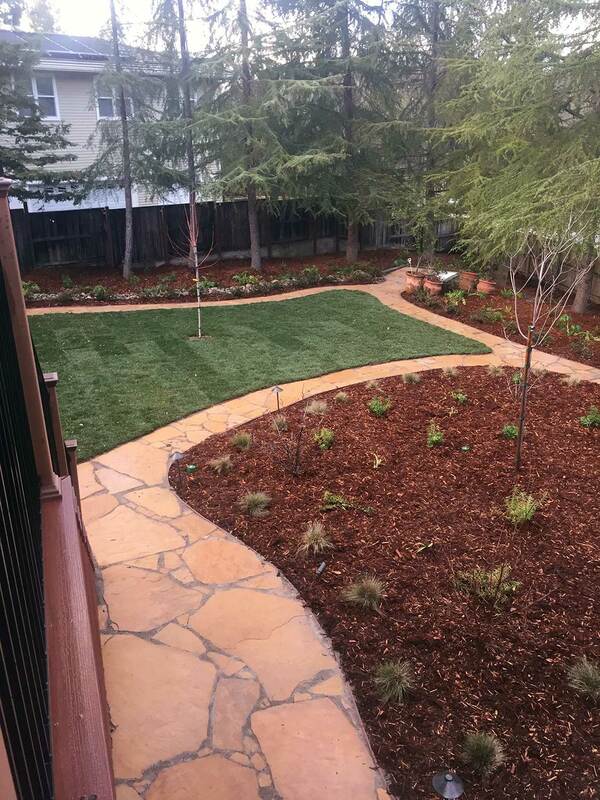 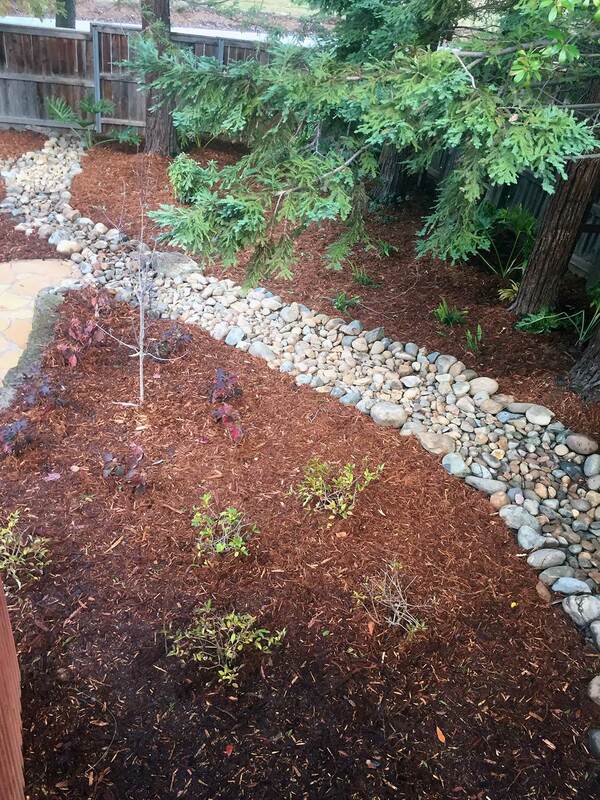 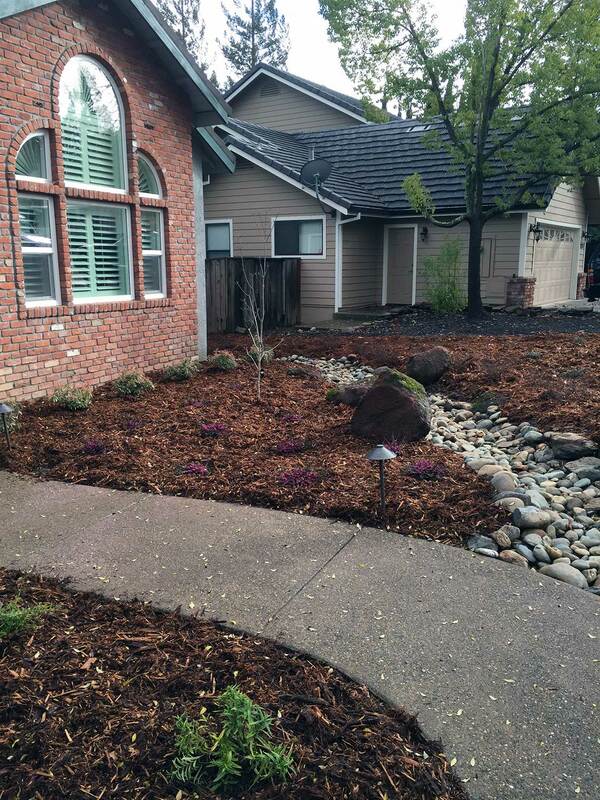 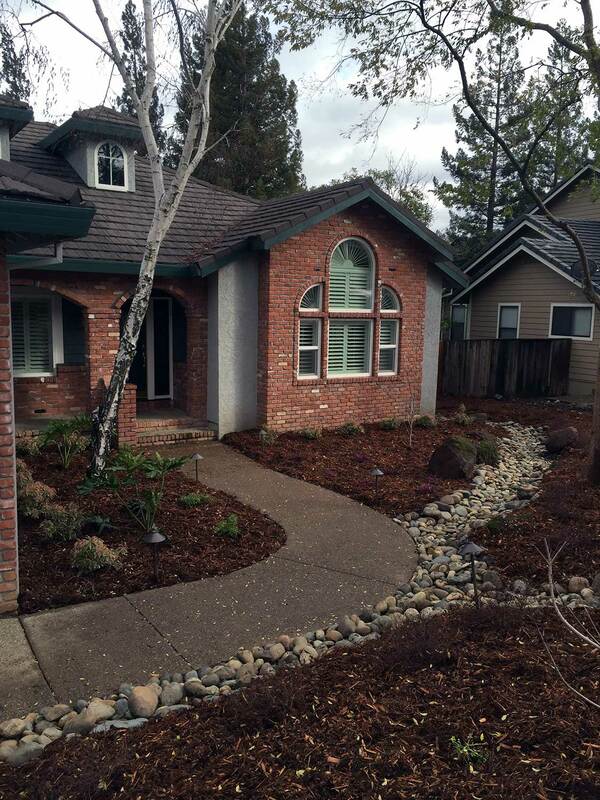 Our designer chose to use a dry creek-bed in the front and back yards to break up the large planters. 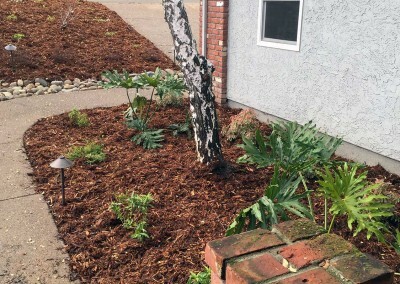 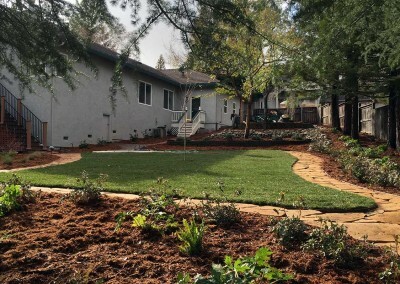 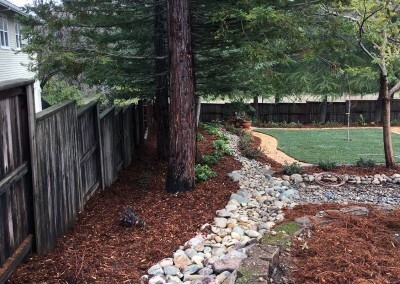 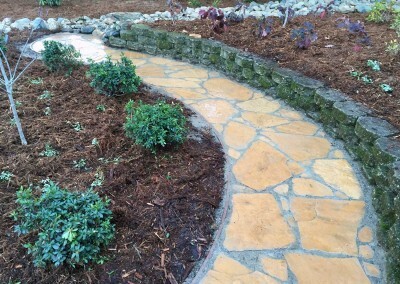 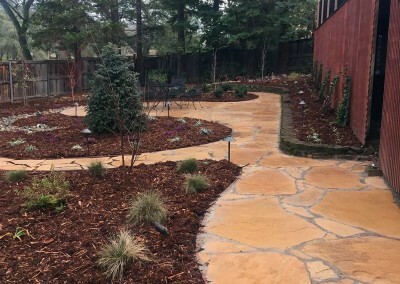 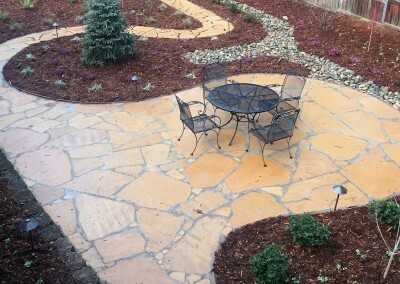 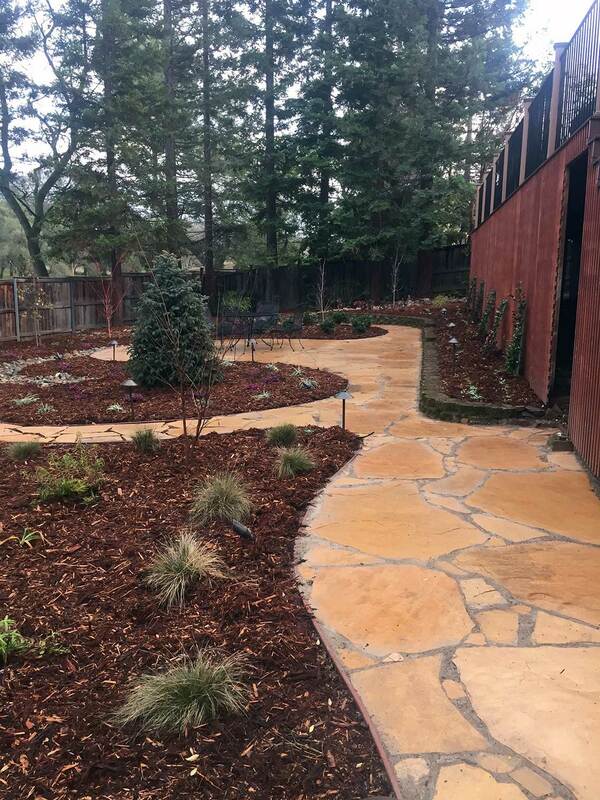 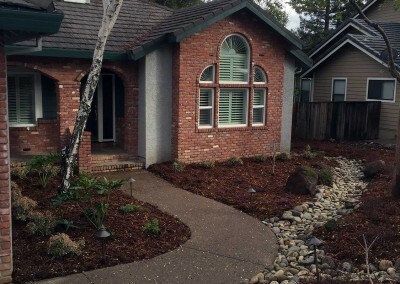 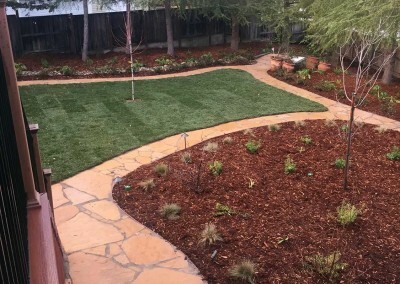 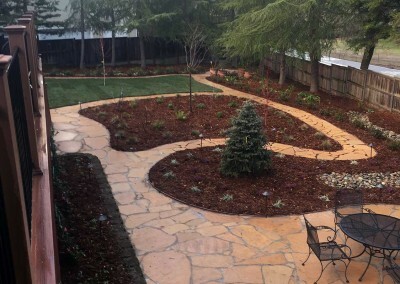 The flagstone, thick bark and a cutting-edge irrigation system allow this homeowner to enjoy their yard throughout the year and monitor the irrigation usage from their phone!